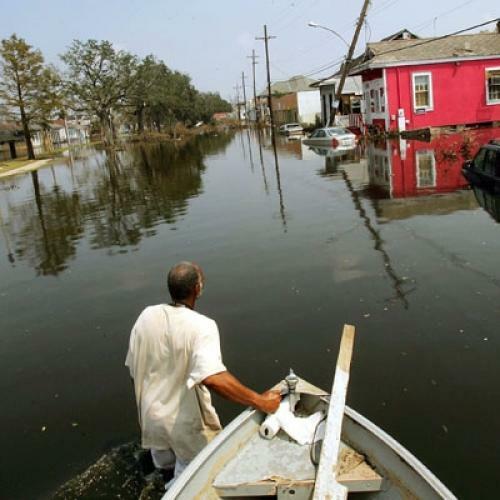 Today marks the four-year anniversary of Hurricane Katrina’s landfall into Louisiana. It was one of the largest national disasters in the history of the United States, with an immediate death toll of nearly 2,000 and an estimate of more then $100 billion in damage. TNR writers attempted to chronicle the saga in all its complexity. At the time, Adam Kushner wrote longingly about the diaster devastating his home city. However, as Dante Ramos explained, there were already a wide range of problems facing New Orleans. Katrina exposed many of them, as shown in David Morton’s chronicle of the political influence of New Orelan's jails, and Michael Grunwald’s exploration of the poor construction of the levees by the Army Corps of Engineers. Several smaller cities were unprepared for a disaster of this magnitude, such as the sparsely populated Plaquemines Parish, which was profiled by Clay Risen. Jonathan Cohn explained how few of the cities poorest residents were able to leave the city. The disaster created an unprecedented population of domestic refugees, with Jason Zengerle covering the affects on near by Baton Rouge. Some residents, such as Jed Horne, stayed--while others, like Kushner, doubted the long-term viability of the city. Four years after 9/11, it was clear that the Bush administration had not learned how to do proper disaster management; Richard Posner showed how the consequences of this affected more then just national disasters. Four years after Katrina, The Avenue explores the new challenges facing the Obama administration as it attempts to restore the Gulf Coast.